H: 19 in. x W: 12 in. x D: 9 in. 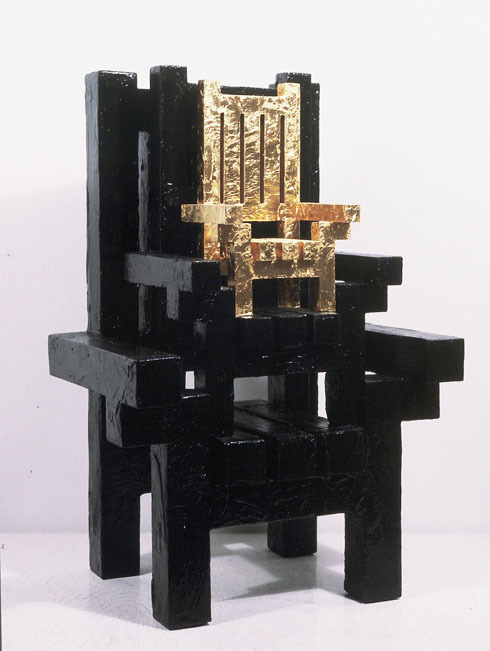 Six small chair maquette studies were made in 1984 prior to the Monument Redefined show in Gowanus, Brooklyn, exploring the idea of “chair,” it’s symbol for power, authority, class, collective ideation. This high back version recalls the dining room chairs of from the Coonley House by F.L. Wright.